 Charles LaRue will give a presentation at the next Mid-Michigan Atheists and Humanists (MMAH) meeting. Charles will speak about general concepts of art and visual perception as well as the scientific grounding that inspires his approach to painting and other purely aesthetic considerations. He will also have several of his art pieces on display. Dinner is at 5PM and the presentation will begin at 6:15pm. Charles LaRue was practically born drawing, and found in childhood that he could only understand the visual world if he explored it the way an artist does: breaking it down and building it back up again from its components. He graduated from Kendall College of Art & Design (illustration major; design minor) with an Associates of Fine Arts degree in 1982 and did commercial and freelance art and design. He was simultaneously beginning to explore the world of fine art painting. When he discovered alkyd resin-based paints, he was hooked. His art has been displayed in numerous galleries, private, corporate and public collections, and he has pieces that have been purchased for, and have traveled to, foreign nations, including France, Greece, and South Korea. He has won numerous awards in competitions and has been involved in solo and group art shows for many years. Charles was one of the early members of the Freethought Association of West Michigan, now CFI–Michigan, and is a past Freethinker of the Year Award recipient. Charles has worked for over half of his life with individuals with different challenges and impairments. Those with sensory disorders drove his curiosity toward exploring human perception, with a special interest in visual perception. Charles is a naturalistic, secular humanist who loves science as much as art. Some of his artwork is based on his understanding of neurology and visual perception, acquired through his pursuits as an autodidact.